The final farewell to 2017 is in (see the Market Action Reports below). Not surprising, the numbers prove what boots-on-the-ground concluded throughout the year. The real estate market softened significantly last year; I call it a leveling out from the rocket trajectory we launched in Portland in 2012. For a reality check on last year note the charts on closed sales compared with the previous 5 years, and the inventory graph for the past 3 years. That being said, note that (1) the price escalation has not softened or shown any sign of halting its climb. (2) The current volume of real estate sales is also expanding dramatically higher than the previous high water mark in 2005-2007. (3) New listings in December also bucked the year’s trend by posting higher numbers than seen since December 2011 when that helped launch the recovery in 2012. All that is good news to both sellers (pricing) and buyers (increased supply). We have every reason to expect great things in 2018. Already we have seen a good 4th quarter (partially thanks to very nice weather), and January has launched with our equivalent of a ‘Bull Market’. The fundamentals of the marketplace are sound (for now) and I continue to hold my conviction that Portland is in the process of joining the elite club of expensive West Coast port cities. Current population forecasts and statistics continue to tell us that the world is coming to Oregon and Portland is the bull’s eye. While we always seem to ruin a good thing with carelessness (and I do not expect we will do better with this market ascension), yet for now it seems to me that we have some strong years of expansion ahead of us and new heights to reach. Sometimes I wonder how young people can afford to get into this housing market. 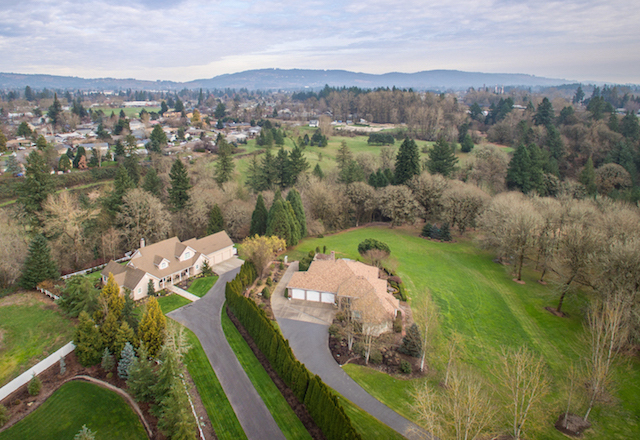 McMinnville’s housing market has precious few opportunities under $300k and Newberg’s market starts at $350k. However, for those who have entered the marketplace, I expect it to be a good ride up. Bella Casa Real Estate Group continued to expand this past year. We currently have 41 licensed brokers, 17 of whom are Principal Brokers. Our net sales for 2017 were $129 million and 400 sales. In Yamhill County alone, we posted sales of $113 million with 351 Mhappy clients. Of the 1147 agents who sold real estate in our county last year, we have 3 brokers in the top 20 positions. Of the sales we accomplished, we sold 219 houses/properties for $73 million, and helped 176 buyers invest $56 million in our area by finding the right home for them. Attached, you can meet some of our rising stars at Bella Casa. At the end of 2017, Beth Frischmuth retired after 17 years a top producing Principal Broker. This was after retiring from a career as a school teacher before that. In her Swan Song, Beth posted 10.4 million in sales in 2017, selling 16 properties and helping 21 buyers find their dreams. That is an amazing accomplishment! Beth will continue to work with her clients by referring them and making sure they are well taken care of. We will also benefit from her training and assistance to newer agents. Beth will remain a celebrity at Bella Casa for a long time to come. The year has begun and it is the season to list properties for sale. Buyers are already out there en masse. We are always grateful for our clients and friends who refer business to us. Our best clients come to us from you, and our reputation is stellar for caring for your friends, family, colleagues, and neighbors. As we enter our 12th year of growth and accomplishment, we are optimistic this will be another year to celebrate. Thank you!